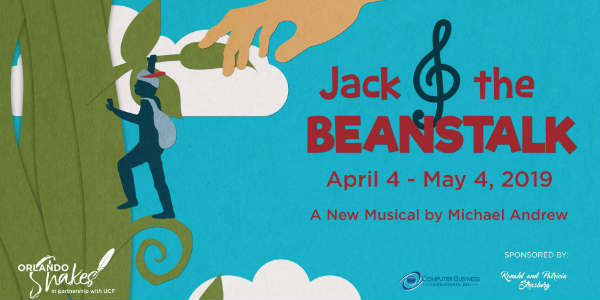 Visit the box office or go online to OrlandoShakes.org to purchase tickets. Join members of the cast for interactive pre-show fun for the whole family. The fun starts 10-15 minutes prior to every performance. Then stick around after weekend performances of Jack & the Beanstalk for a special autograph session with the stars of the show. Opening Date – April 6, 2019 at 2pm and 4:30pm. Join Orlando Shakes one hour before both opening day performances to take part in free crafts and activities. Free to all opening day ticket holders. No RSVP required.